2014 Keeping Close Ties with Nature: OZOOMS Tie-up for Reforestation Efforts | FEED, Inc. Establish Harmonious Relations with Nature. By Kristine Anne Fatalla (OZOOMS) and Dr. Asuncion Raymundo, UPLB Professor Emeritus and FEED Board Member. Siniloan, Quezon Province, October 25, 2014. 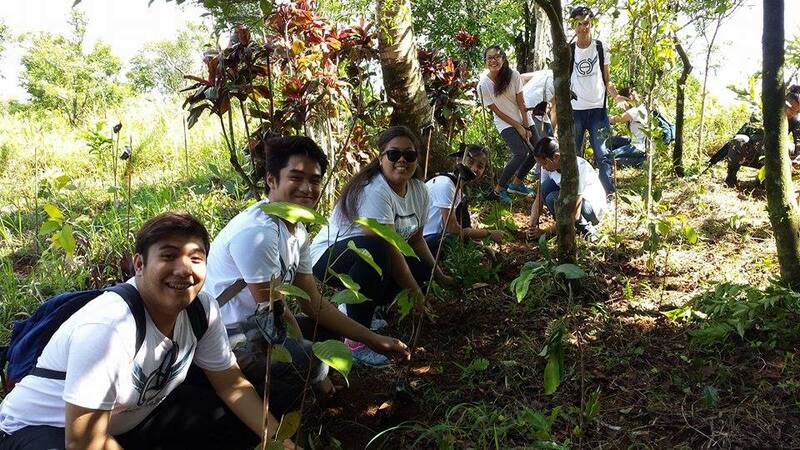 In line with its 36th anniversary, the UPLB Zoological Society (OZOOMS) participated in FEED’s tree planting program “Living Legacy: Plant a Tree, FEED Our Future” held at the Laguna-Quezon Land Grant at Siniloan, Laguna last October 25, 2014. 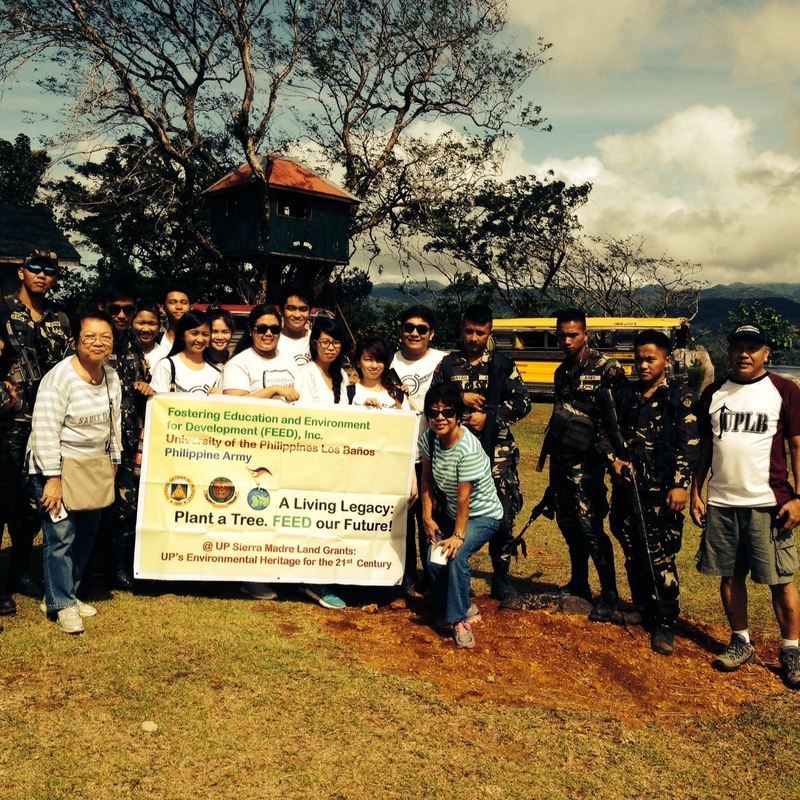 The tree planting activity is a tripartite project between University of the Philippines Los Banos (UPLB), Fostering Environment and Education Development (FEED) and Armed Forces of the Philippines (AFP). OZOOMS was handpicked among several IBS organizations by Dr. Asuncion Raymundo, former CAS Dean, Professor Emeritus and member of FEED’s board of Trustees, to participate in the said tree planting activity. Mrs. Cecille Dinglasan, Treasurer of FEED, also graced the activity. Before proceeding with the tree planting, Forester and Land Grant Manager, Mr. Benjamin Arizala oriented the participants about the area and how the tree planting activities started. After the orientation, Forester Arizala together with Forester and Farm Superintendent Reynaldo Lorida demonstrated the proper way of transplanting the seedlings as well as properly marking the area where a new seedling is placed. Headed by Consul-General Zeus Mendoza, OZOOMS was able to plant 1237 seedlings of various indigenous species of trees with the help of the AFP Alpha Company, 1st Infantry Battalion, headed by Squad Leader Corporal Shaun Domiguez and the various members of the Land Grant Management Office (LGMO) staff.